Holme-next-the-Sea is situated on the Norfolk coast, 3 ½ miles north east of the seaside destination of Hunstanton. This coastal village is 18 miles north of King's Lynn and 44 miles north west of the city of Norwich. The village church, St Mary, is a fine medieval building with a superb 15th century Perpendicular tower. 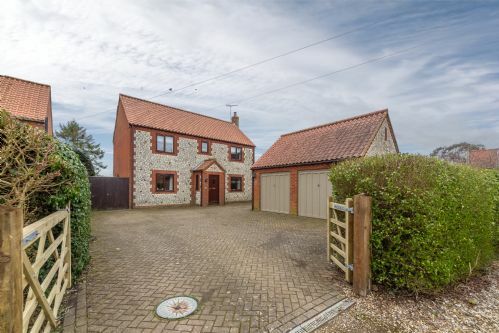 A beautifully presented period cottage situated in the picturesque village of Holme-next-the-Sea and within a few minutes walk of the beautiful North Norfolk Heritage Coast. The cottage has been recently modernised and renovated making it a real gem in this sought-after village. 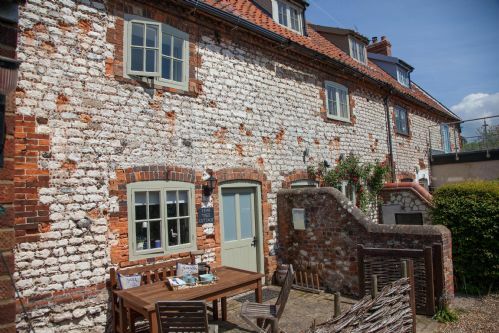 Ebb and Flow is a timber framed holiday hideaway situated in a peaceful and secluded position, within easy walking of the sand dunes that skirt Holme Beach. A traditional cottage just a few minutes' walk from the beach at Holme. It has a comfortable sitting room and a sunny conservatory and is very dog friendly with a fully enclosed mature garden with a fabulous designer Pod. 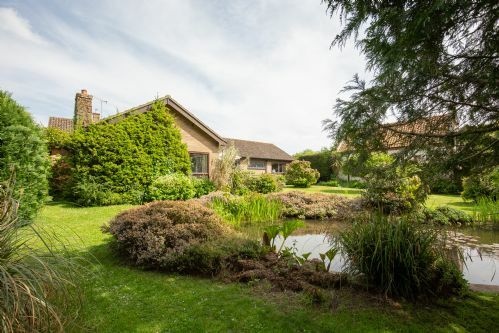 This delightful single storey property with pretty cottage gardens is just a stone’s throw from Peddars Way in Holme-next-the-Sea. Having been extended in recent years, the property now provides spacious and well appointed, modern accommodation right on the coast. A beautifully presented four-bedroom holiday home within walking distance of Holme Beach and Nature Reserve. It lies on Peddars Way in the heart of the old village. It has a delightfully spacious kitchen and sitting room with a wood burner. The rear garden is fully enclosed. 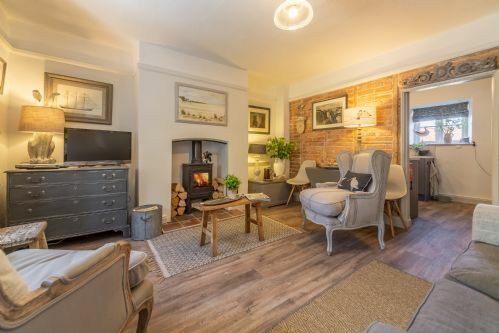 A beautifully presented period cottage situated in the picturesque village of Holme-next-the-Sea and within a few minutes' walk from North Norfolk's stunning heritage coastline. A charming and very comfortable four-bedroom house in a superb private position, surrounded by mature garden. It is set well back from a quiet lane and accessed by a long private drive yet it’s just a few minutes walk away from the sand dunes, beach and nature reserve. A traditional brick and chalk house standing back from the road in a quiet street in the charming holiday village of Holme-next-the-Sea. This well-presented three-bedroom property – spacious and well-equipped, with its own enclosed garden – is a great family home. A contemporary four-bedroom cottage situated a short walk to Holme Beach. The house has a magical garden of almost an acre with lawned areas and a 'secret wood'. The accommodation is stylish. Located on a private road, this delightful property has recently been renovated to a high standard with a cosy sitting room and a large dining conservatory. It’s an easy walk to the beach and there is a private bridge directly onto the marshes from the fantastic, large garden. A traditional Norfolk end terrace cottage in Holme-next-the-Sea, close to the Peddars Way Roman road and the coast. A cosy conversion of a 17th century barn in Holme-next-the-Sea, minutes away from beaches and nature reserves. The open-plan living space is elegantly beamed. 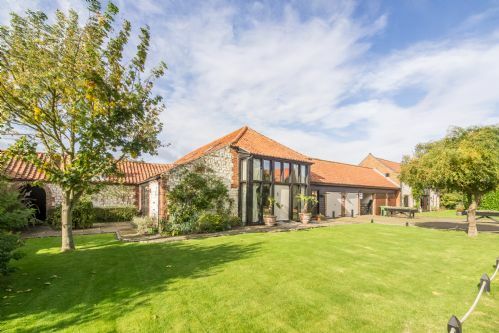 Romance and rusticity are the order of the day in this luxury detached self-catering barn conversion in this popular and quiet village right on the coast in North Norfolk. Formerly the village blacksmiths, it has been sensitively converted into a cosy couples’ retreat. Perfect for walkers, cyclists, bird and wildlife lovers, it is a fabulous base for exploring the whole of the North Norfolk coast. A beautiful romantic bolthole for two, ideally situated in this pretty coastal village, in a peaceful off-road location. Detached, with a pretty garden and overlooking the marshes and the NWT Redmarsh Nature Reserve, it is perfect for lovebirds and birdwatcher’s alike! 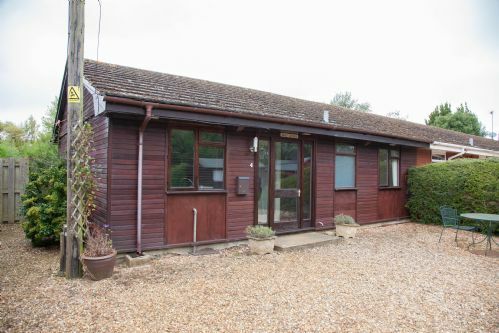 This large, spacious and social barn conversion is stylishly furnished and well-equipped. Located within a short walk of the beautiful sandy beach, Holme Nature Reserve and a good village pub. 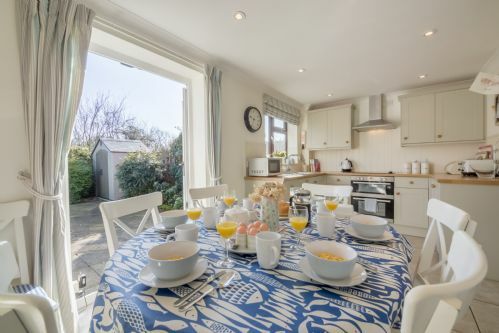 Expect extra brownie points for choosing this little seaside beauty for a short or longer stay in the charming coastal village of Holme-next-the-Sea. 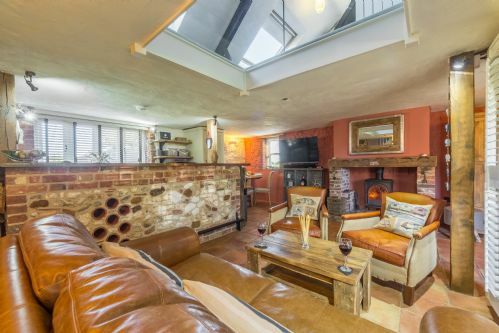 This luxurious and stylish Grade II listed 300 year old flint cottage, can either be a romantic love nest for two or a wonderfully unique homestay for four.